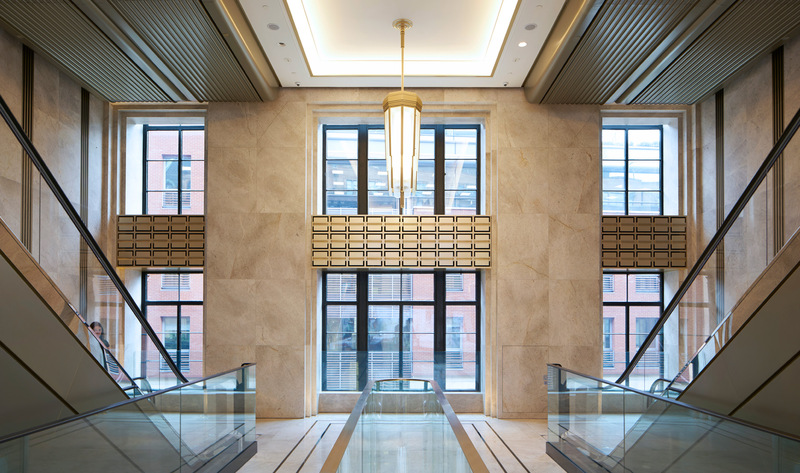 The first major refurbishment of the Hans Crescent Escalator Hall at the Grade II Knightsbridge store since the 1980s, this full MEP services design saw the replacement and relocation of 16 escalators to improve traffic flow and the subsequent customer experience. Architectural features buried for decades were restored and moved to prominence, with new pile foundations and a feature roof dome also incorporated - all whilst maintaining retail operations. All associated MEP services and infrastructure were replaced, including the introduction of conditioned air to spaces that previously relied upon second hand air from adjacent retail areas. Additionally, the project incorporated 12 hi-spec LED screens across six floors to provide impactful opportunities for luxury advertisers.